This week I had the privilege of preparing the Easter lesson for Youth Sunday School. One of the talks included in this lesson is “The resurrection of Jesus Christ” by Elder Christofferson. If you aren’t familiar with this talk I suggest reading it. It is absolutely beautiful! I actually listened to it and followed along, I was so touched by the spirit. I have a testimony of the Resurrection but I have never really contemplated the event and feelings that those involved must have experienced. I can’t imagine the panic and sadness Mary Magdalene must have felt when she found the tomb empty. Her beloved Lord whom she loved and respected gone, assuming his body had been stolen. We know from scripture that she was so upset she wept. When the Savior came to her she at first thought it was the gardener. I imagine our joy will be similar when we again greet our loved ones. I find great peace in knowing the physical death is not permanent. 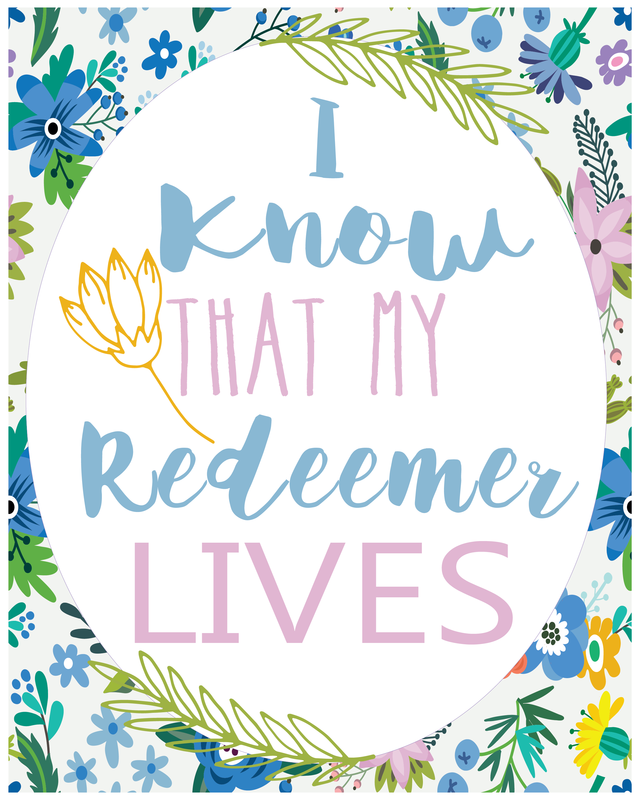 I tend to focus on the Atonement but really the Atonement is useless without the resurrection of our Savior. The Resurrection was the final step in overcoming all aspects of the fall. If we truly believe that our Savior was raised from the dead then we must fully believe in him as a divine being. In the words of Elder Neal A. Maxwell: “Christ’s victory over death ended the human predicament. Now there are only personal predicaments, and from these too we may be rescued by following the teachings of him who rescued us from general extinction.” No injustice in mortality is permanent, even death, for He restores life again. No injury, disability, betrayal, or abuse goes uncompensated in the end because of His ultimate justice and mercy. How amazing is that!